When Harriet Beecher Stowe wrote the novel Uncle Tom’s Cabin, could she have guessed its impact? That slavery would die less than fifteen years later? Unplanned is the true story of Abby Johnson. She was an ambitious Planned Parenthood employee, who later went on to become a heroic defender of women and preborn children. Unplanned can be the Uncle Tom’s Cabin of the abortion issue. And today’s pro-life movement can be the movement that drives its success. It’s thanks to countless Abolitionist heroes that Uncle Tom’s Cabin became the best-selling novel of the 19th Century. And the second-best-selling book of any genre, after the Bible. Americans are now as likely to identify as pro-life (47 percent) as pro-choice (47 percent). Just last month, a similar survey conducted by The Marist Poll found Americans more likely to identify as pro-choice than as pro-life by 17 percentage points (55 to 38 percent). Democrats moved in their pro-life identity from 20 percent to 34 percent. Part of this shift in opinion? It’s because people are seeing what pro-choice politicians really want: Abortion for any reason at all, up to the very moment of birth (and sometimes after), in 50 states of the union. I guess some thanks are due to Virginia Gov. Ralph Northam, for admitting that he backs infanticide. “Unplanned” opens in theaters on March 29, and you can play an important role. 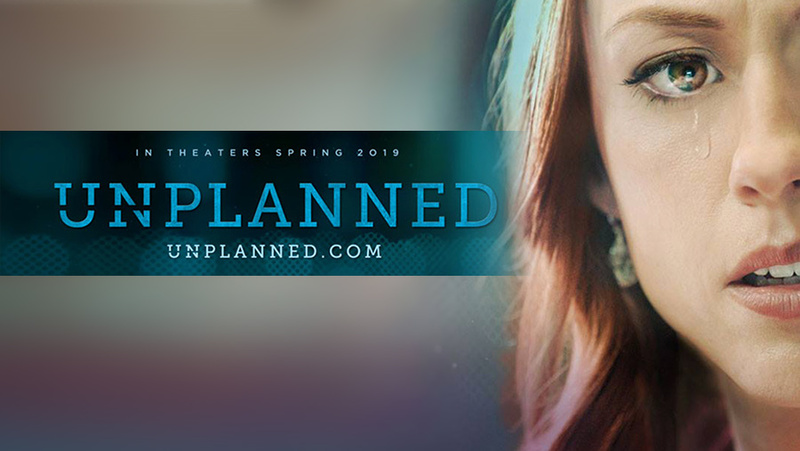 Check your local theater to see if “Unplanned” will be there. Bring a pro-life group to see it. 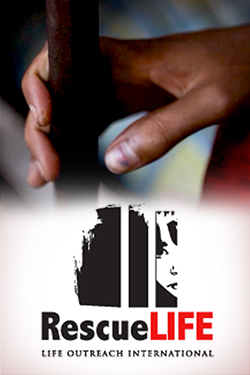 If you find a theater that doesn’t plan to show it, encourage them to bring this film to town. Our movement steadily gains new members from every background and walk of life. It unites people you would never expect to converge. But we do converge, on the protection of the most vulnerable member of the human family, the child in the womb. We are millions strong, and this is our Uncle Tom’s Cabin moment. I’ve always believed in the power of movies. They can change hearts and minds, and even shape the laws of a nation. That’s why I founded the pro-life/whole-life organization MovieToMovement. As an executive producer of the film Bella, my hope was to inspire women to choose life. After Bella’s release, we received over a thousand messages from mothers who said our movie spoke to them during their pregnancies, and moved them to choose life. Emboldened by the success of Bella, I went on to work on the productions of over 10 films, and the marketing of over 50, including Voiceless, Sing a Little Louder, and Crescendo. Over the years, my hopes and ambitions grew. I began to hope I could be the man who would make the movie that would end abortion. But when I watched Unplanned last week, the thought of another anti-slavery hero humbled me. Although we didn’t get to write the song, what a privilege it is that we get to sing along. Unplanned opens in theaters on March 29, and you can play an important role. Check your local theater to see if Unplanned will be there. Bring a pro-life group to see it. If you find a theater that doesn’t plan to show it, encourage them to bring this film to town. Let’s make sure every seat gets filled opening weekend. The abortion syndicate knows how powerful movies are. That’s why virtually no outlets in the MSM even reviewed the last powerful pro-life movie, Gosnell. It quickly went to video — and you should make a point of frustrating the censors by watching it. But if you want to really drive them crazy, help make Unplanned the hit it richly deserves to be.